32 oz. 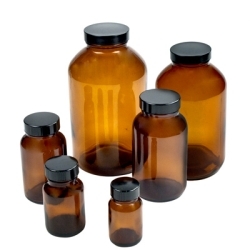 Amber Wide Mouth Packer Bottles with 53/400 PV Caps | U.S. Plastic Corp.